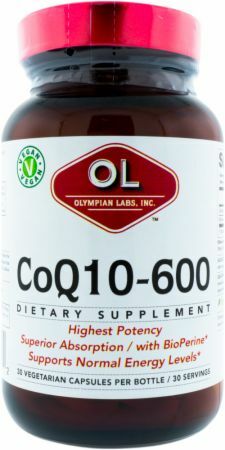 CoQ10 by Olympian Labs at Bodybuilding.com - Best Prices on CoQ10! Bioperine® is a registered trademark of Sabinsa Corporation. U.S. Patents 5,536,506; 5,744,161; 5,972,382 and 6,054,585. Directions For CoQ10-600: As a dietary supplement, take one (1) capsule one to two times daily with meals, or as directed by a healthcare professional.